We encourage you to submit your most powerful photos that illustrate innovative, effective, and inspiring efforts in international relief and development. Examples of self-reliance, innovative technology, shared values, partnerships, and delivery of humanitarian assistance re encouraged, though entries are not limited to those categories. All images should be of work done outside of the United States. 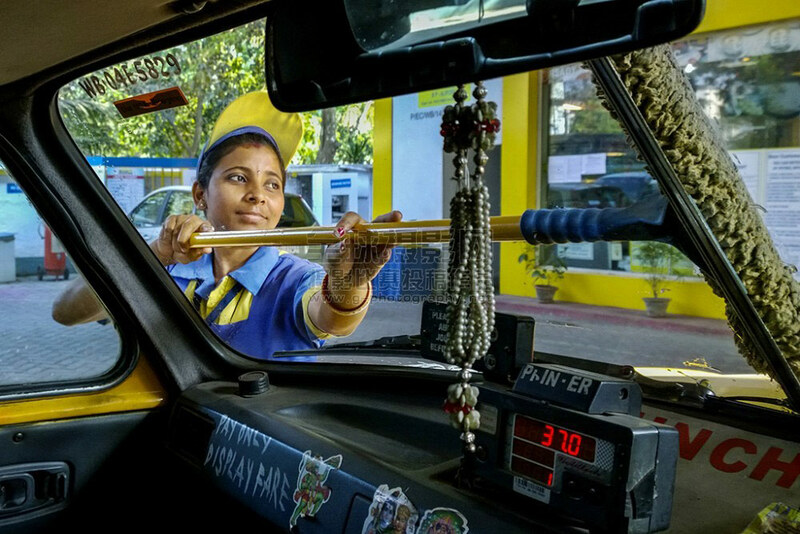 The women-controlled fuel-station is a step ahead of the paradigm of women empowerment. In the regime of gender bias and inequality, it provides a farm-foothold for the youth and bigger dreams. The photo was taken in remote Eastern India. 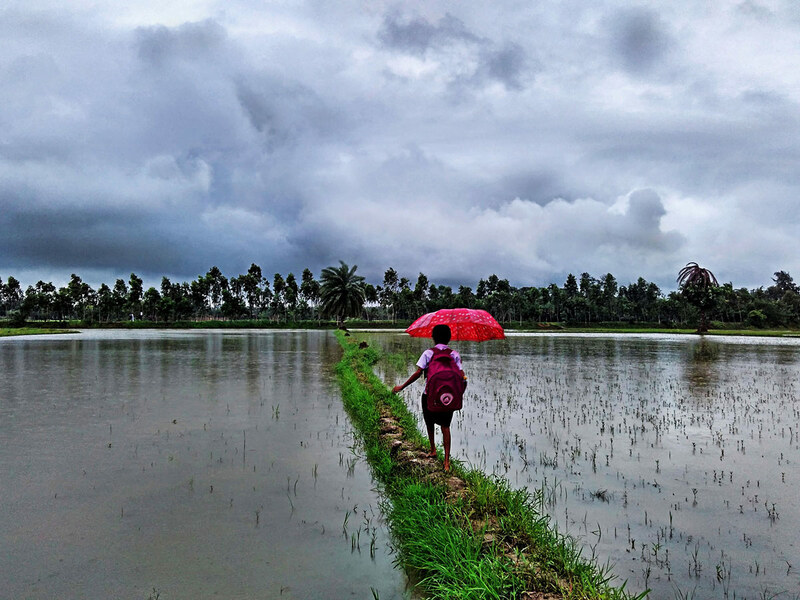 At the time monsoon there was no road to school. This girl was taking stretch between two firming land to go school. 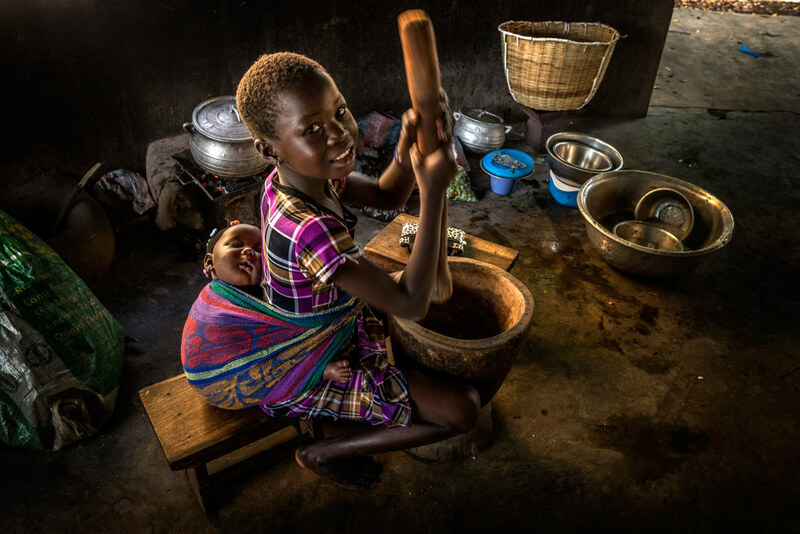 A girl prepares the meal for her sick siblings in the community kitchen of the Center for disabled children Don Orione de Bombouaka (Togo, West Africa). These beautiful children were full of so much energy. 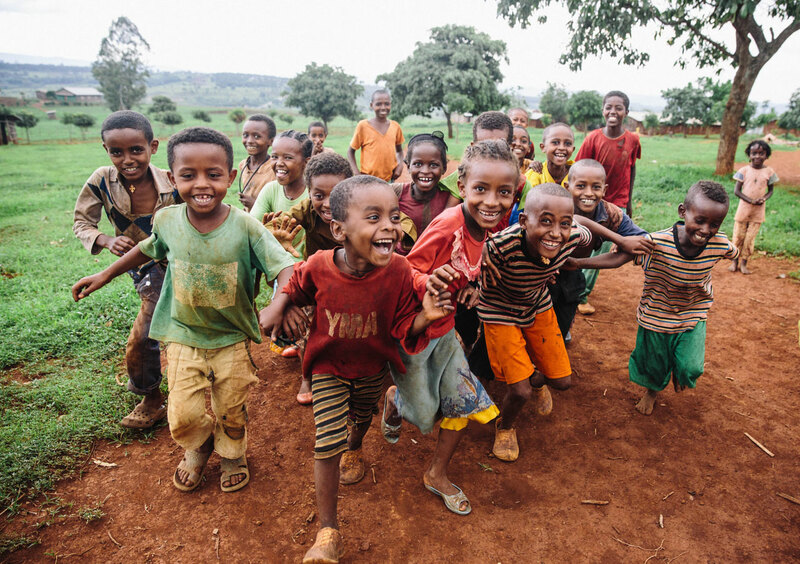 This specific area of eastern Ethiopia is full of incredible children that may or may not have both of their parents. However, Food for the Hungry is building a new school and water wells so that there is hope for the children’s future and health. Therefore, they are “Chasing Dreams”. Dreams to be what they hope to be. 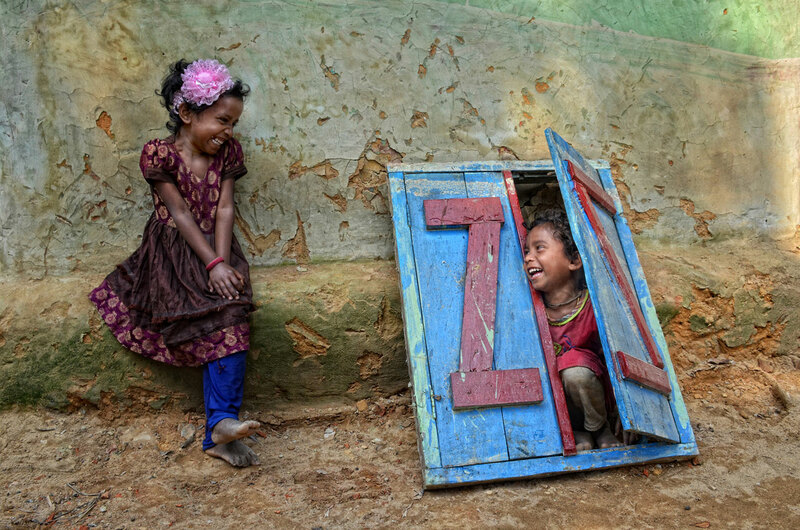 Two friends play a joyful game of hide and seek. Children and nature are two interrelated terms which when survive together, produces a marvel. As the concept of development is engulfing our brain, we slowly losing the fine touch of nature and thus endangering our race towards extinction. Unlike this hard reality, the picture strikes our mind with magic of visual relief where children,especially women folk finds themselves in such vast lap of nature where sky merges with water in a beautiful afternoon of autumn. 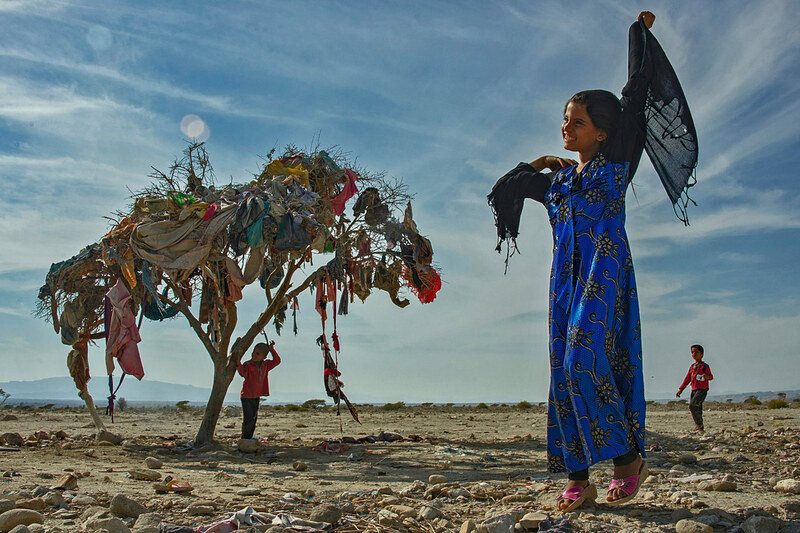 The beauty of nature beholds with a vision, that this girl children are born free and can reach the sky with their ambition even after their existence on the material world. 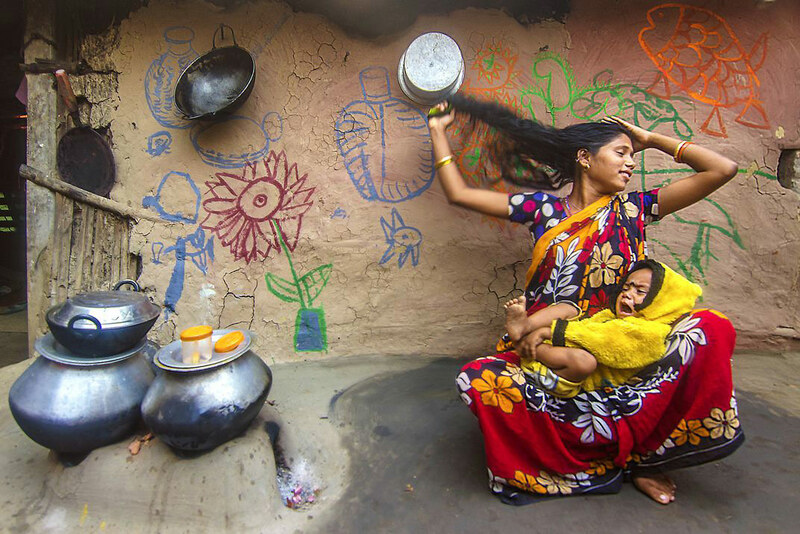 While taking care of her child, a mother combs her hair in a kitchen to utilize the time in her busy day’s schedule. 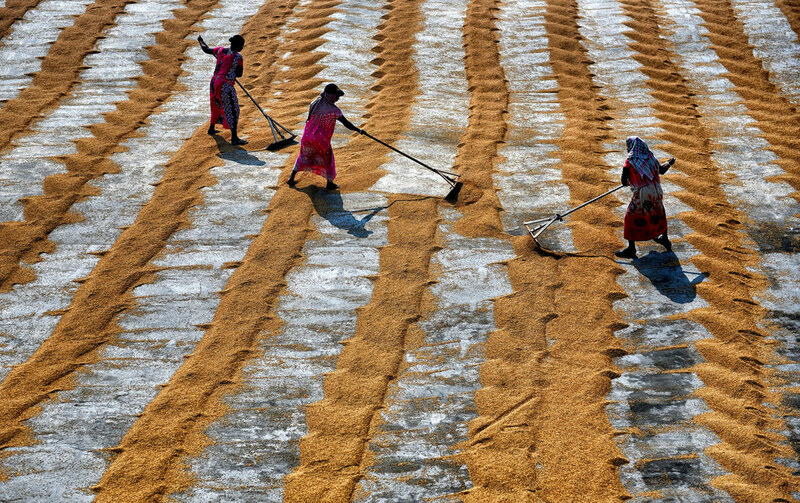 Woman are working in a sequence in a Paddy processing field near Bangladesh Border of west bengal where manual drying process are going on. Each and every day they use to earn $ 2 – 3 by this activity. These people live in the city margin of Bandar Khamir. They are in a very difficult situation and are destitute. Despite the difficulties, they are hopeful and always try to do the best for their own lives.